The legal landscape involving issues revolving around the education of special needs children changes all the time. Special needs children include all children meeting certain guidelines as defined by specific legislation and interpreted by responsible agencies. In addition, there are frequent lawsuits, often filed by parents trying to cope with cash strapped public school systems and their children’s educational needs, that make it all the way to the US Supreme Court and serve to define the intent of the laws. Various articles about special education review current issues. The Impact of the Law More Articles. In one of the most recent cases, Forest Grove School District vs. T.A., the US Supreme Court ruled on an area of special education that was related to reimbursement for private school tuition for a special needs child removed from public school by his parents. The child was having learning problems in an Oregon public school system. Several special education articles reported the Supreme Court ruling. In a nutshell the school suspected drug use was causing the child’s problem and his parents insisted he needed special education services. A school counselor had indicated he thought the child might have Attention Deficit Disorder but did not issue a formal statement saying so. The school refused to provide special education services so the child, referred to as T.A., was subsequently moved to a private school. The parents sued the school district and won. Additional special education articles reported the court ruling was 6-3 in favor of the teenage boy. Justice John Paul Stevens wrote in the majority statement, words that will resonate throughout the US public school system. He indicated that schools are obliged to "identify, locate and evaluate all children with disabilities." You can listen to the story at this special education articles publication site. This ruling was issued on July 22, 2009 and basically continues to interpret the original 1975 Education for All Handicapped Children Act which was revised and renamed to the Individuals with Disabilities Education Act (IDEA) in 1990. In other words, parents, teachers and schools are still searching for the right formula to properly educate special needs children. It is not a simple issue in terms of determining which children need the services, which services to provide, and how to pay them. There are a now a number of educational resources available designed to instruct special needs children making it easier to meet the legal requirements and provide effective instruction at home and school. For those who may want additional detail, here are the briefs published in multiple special education articles. 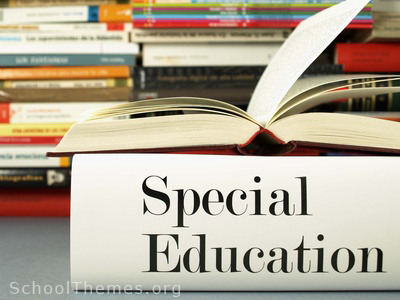 The first major law concerning special education was passed in 1975 as The Education for All Handicapped Children Act (EHA). Among other things the Act, 1) guaranteed a Free and Appropriate Education for disabled children between the ages of 5 to 21 years old, and 2) requires the development of an Individualized Education Plan (IEP) for each eligible child. EHA also introduced the concept of LRE which says the special needs services should be provided in the Least Restrictive Environment. Various special education articles cover IEP and LRE issues. The EHA was amended in 1986 to include preschool, infants and toddlers between ages zero to 5 years old. In 1990 the EHA was renamed the Individuals with Disabilities Education Act (IDEA) and the scope of the law expanded. Children with autism and brain injury were added and the LRE requirement was amended to require special needs children be mainstreamed into the classroom with children who do not have disabilities as much as possible. Also, Assistive Technology Devices and Services now had to be included in the IEP. Articles special education oriented continue periodic updates as laws change. In 1997 there was yet another amendment. The school must purchase the Assistive Technology Devices and Services for home use if the child needs it. The amendment also addressed transportation and mobility needs of children who are blind or visually impaired. In 2004 the Individuals with Disabilities Education Act (IDEA) was reauthorized and more changes made. The updated law is named the Individuals with Disabilities Education Improvement Act of 2004. It is also referred to as IDEIA 2004. The new law strengthened the process of evaluating children with special needs while addressing disciplinary issues. All of these laws have been tested in courts around the country with the Forest Grove Ruling being the most recent high court decision. Enormous responsibility has been placed on the school systems and teachers to provide the special needs children with the appropriate educational services and facilities access. Working hand-in-hand are parents and teachers. The IDEA does not just impact teachers and students. The Disabilities Act also gives parents certain rights such as the right to determine if the school is providing what the child needs as documented in the IEP. The parent must agree to the IEP which states where the child will be educated. Keeping abreast of the laws and current research is important for everyone involved in special education resources. There are a number of special education articles and resources available and many are online making it much easier to keep track of the changes in the laws. Here are just a few. When you begin to read articles on sites such as these there will be references to other resources that you can click through to. In addition, search engines like Google Scholar can provide results that provide expert and scholarly research on any subject.